There are all kinds of readers, from rare to occasional, casual to passionate. 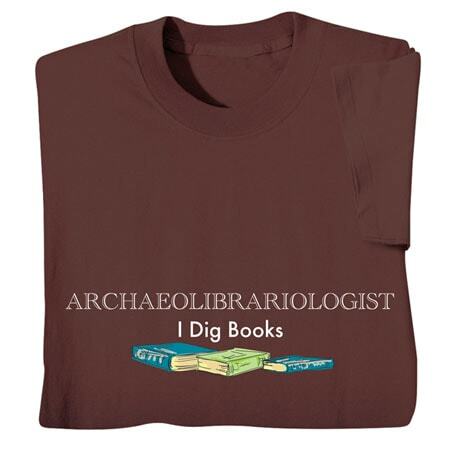 And then there are those who really dig books. Chocolate brown T-shirt is preshrunk 100% cotton. Sizes S-3XL. Imported.